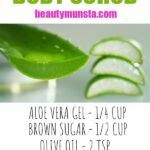 DIY Milk of Magnesia Deodorant Recipe | Roll-On Recipe - beautymunsta - free natural beauty hacks and more! 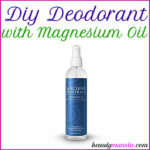 Follow this DIY milk of magnesia deodorant recipe to make a homemade deodorant that you’ll be very pleased with! It works effectively and smells great! Milk of magnesia is the common name for magnesium hydroxide. It is a remedy for a wide variety of health problems including insomnia, constipation, heartburn, indigestion and more. 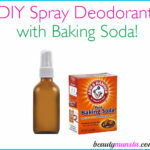 It can also be used as a deodorant all on its own! All you need to do is tilt the bottle containing milk of magnesia onto a cotton round then wipe it on your clean underarms! 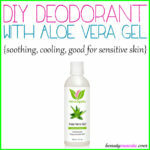 Many people, skeptical at first, have used milk of magnesia as an amazing deodorant that works! 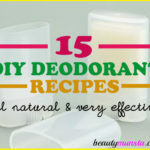 If you combine milk of magnesia with other ingredients with deodorant properties, you can make a powerful DIY deodorant! Check out the recipe below! Into your bowl, add the solid ingredients first: baking soda and arrow root powder. Then add the aloe vera gel, witch hazel, tea tree hydrosol and milk of magnesia. Mix well to form a creamy consistency. Now add the essential oil and whisk again. Remove the roller balls from the bottles, fill each bottle with the mixture then firmly push back the roller balls. Store in a cool dry place. You can store the bottles in various places: the bathroom cabinet, your purse, your car, the gym locker, your office drawer, etc! 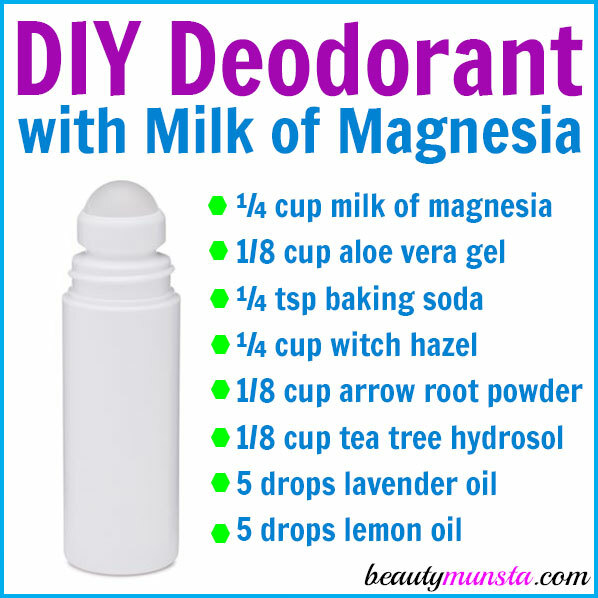 Go ahead and follow this DIY milk of magnesia deodorant recipe and come share your results!